Back pain is a medical condition that mostly all of us experience at one time or the other in our life and in some cases your back pain may require one of many surgical options to reduce or eliminate the chronic pain associated with your back pain. The causes for back pain may vary and includes accident, sprains, fractures, diseases and severe conditions like arthritis, fibromyalgia, osteoporosis and Ankylosing syndrome. The varied causes for back pain also mean different treatment options and back pain treatment options include both surgical as well as non-surgical treatment options for chronic back pain and injury. It is true that a qualified doctor usually recommends non-surgical treatment initially for back pain disorders. However, in severe or chronic cases, back surgery is the last and the only treatment option. 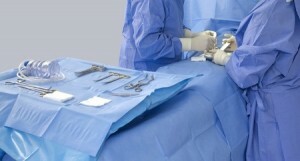 Back surgeons recommend surgery for two reasons; first, when chronic back pain is caused by mechanical pain or muscle spasm and the secondly when abnormal squeezing of nerve roots, also known as neural element compression, or undue pressure on the sac around the nerve roots and the spinal cord occurs. This sac is medically known as the dura mater. This is surgical procedure that is mainly chosen for the treatment of sciatica. This procedure involves minimal invasion where the herniated disc material is taken out without disturbing the support structure of the disc. This surgery is usually performed through a small bony window. Laminectomy is a surgical procedure that helps in relieving the pressure on the spinal cord by removing a chunky posterior portion of the spinal covering. Under this procedure several vertebrae are made to “fuse” or in simpler terms grow together. Spinal fusion is a last resort surgical treatment option for patients who have undergone an aggressive non-operative program for a back pain disorder and failed and still suffer from mechanical pain. If you’re considering back surgery for your chronic or acute back pain, consider giving us a call at (888) 779-8716 for a free consultation to discuss your treatment options.